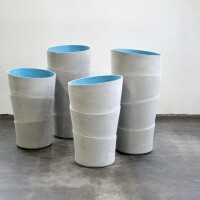 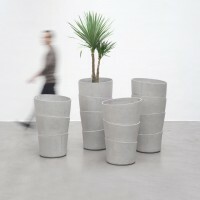 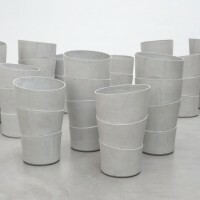 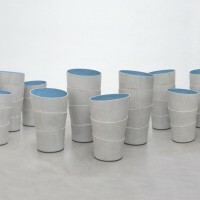 Austrian designer Rainer Mutsch has created the PALMA collection of fiber cement planters for the Swiss brand Eternit. 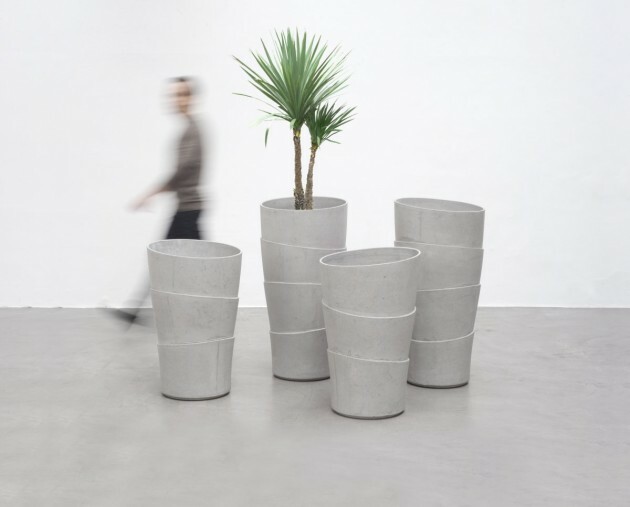 Inspired by the growth-form of palm tree stems PALMA synchronizes the hand-made production process and technical innovation: each ring of fiber cement is hand formed at its soft state; together they grow into these unique planters of up to 106cm height. 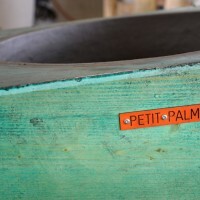 Each PALMA is manufactured at a production facility in Switzerland: for Rainer it was very important that the final product visualizes the unique hand-made production process. 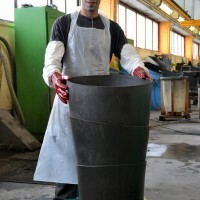 Eternit is a durable and sustainable material based on 100% natural components. 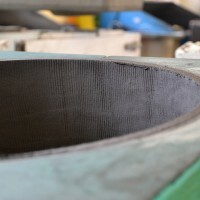 The core components, cellulose fiber and cement, are environmentally friendly and recyclable. 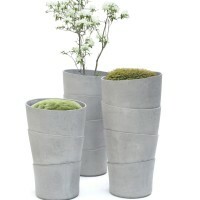 Due to the extremely durable material and its stabile construction, PALMA is proven suitable for in- and outdoor use in gardens, on terraces and on balconies. 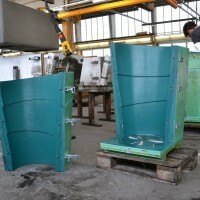 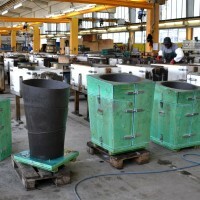 You can watch a video of the planters being made – here.